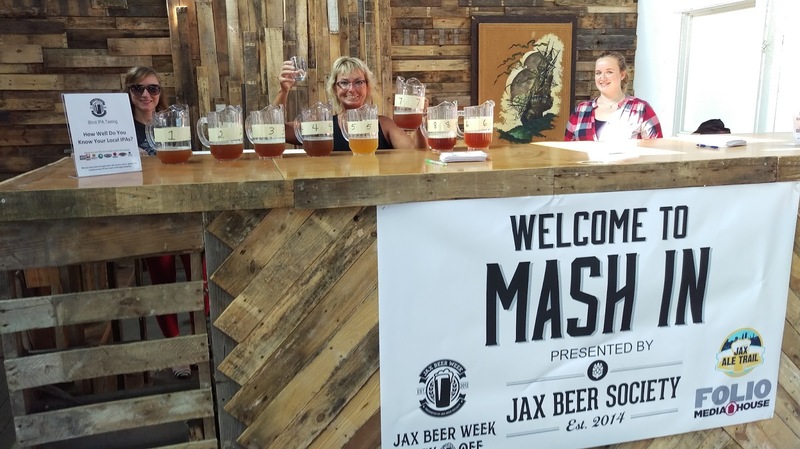 Mark your calendars for the 4th Annual JAX BEER WEEK, September 17-24, 2016. 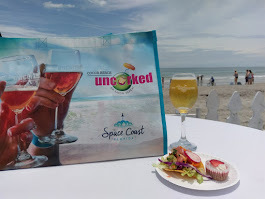 The week will feature over 50 events all around Jacksonville's local breweries, brewpubs, restaurants, bars and bottle shops, including beer dinners, beer and food pairings, spotlights and special releases. 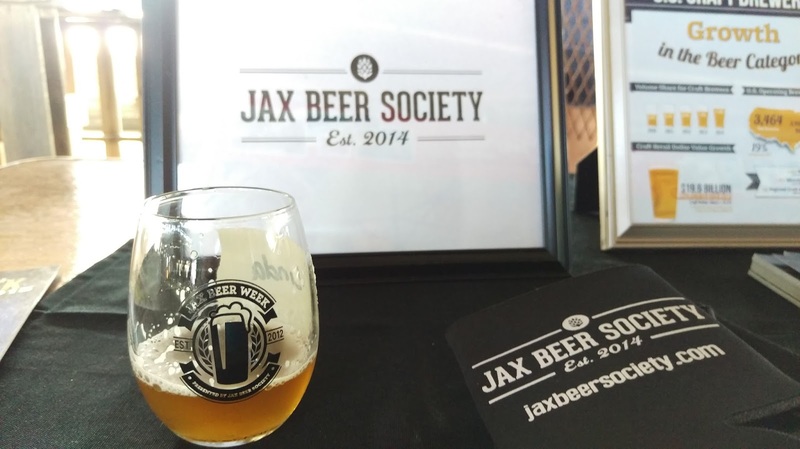 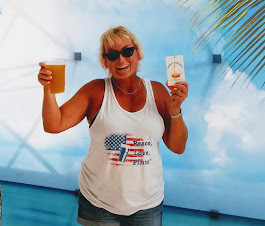 The festivities are presented by the Jax Beer Society, a local trade association which promotes craft beer in the Northeast Florida and Jacksonville markets. 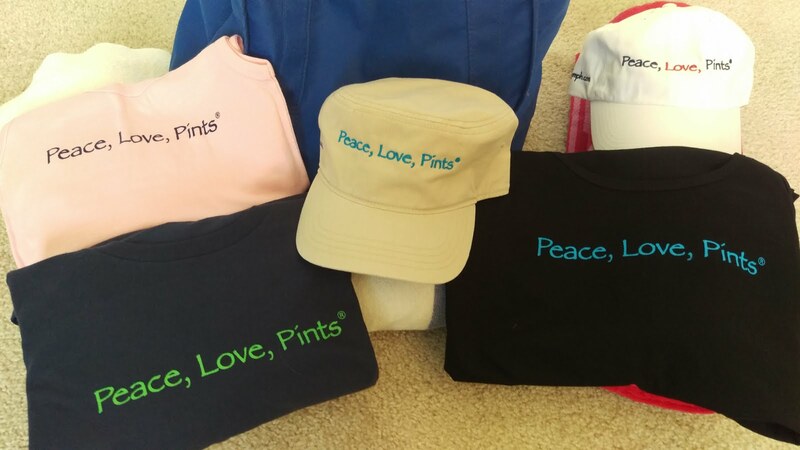 All funds generated by the Jax Beer Society stay in the Jax area. Jax Beer Society is pleased to announce the continued second-year sponsorship of Visit Jacksonville's award-winning Jax Ale Trail beer tourism initiative. 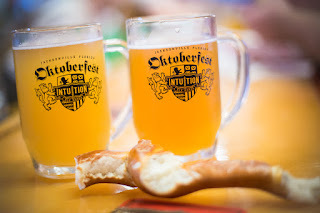 In addition, this year Jax Beer Week will coincide with Visit Jacksonville's Sip & Savor Restaurant Week, which began yesterday, September 11, and continues through September 25.
gear on Saturday, September 17 from 12pm- 8pm, at the Oktoberfest celebration hosted by founding member Intuition Ale Works at its new downtown brewery location at 929 E. Bay St., adjacent to the Sports Complex, which opened to the public last week. 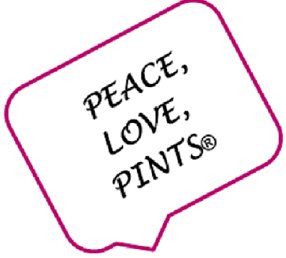 Then, on September 19, at 5pm, a special collaboration beer by the nine Jax breweries (Bold City Brewery, Intuition Ale Works, Aardwolf Brewing, Engine 15 Brewing, Green Room Brewing, Zeta Brewing, Veterans United Craft Brewery, Pinglehead Brewing, and Wicked Barley Brewing) will be tapped at Intuition Ale Works. This year's collaboration beer, a kettle sour, was brewed during August at the Intuition Ale Works Riverside brewhouse. 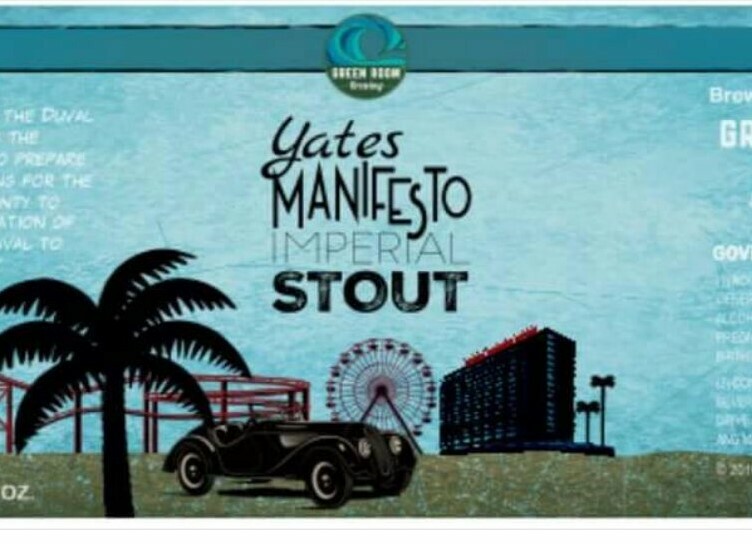 Green Room Brewing, in Jax Beach, will offer its new Yates Manifesto Imperial Stout, along with a different treatment each day during Jax Beer Week, beginning on September 20. 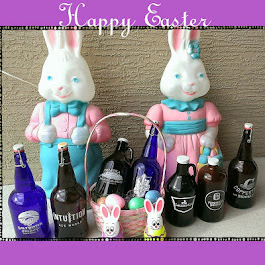 Limited bottles will be available each day. 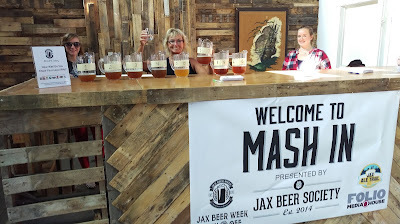 Jax Beer Week will conclude with the second rendition of the "Mash-In" all-local beerfest on September 24, from 1-4pm (early VIP entry at 12pm) at Engine 15 Brewing Company's downtown production facility and special events venue, known as The Glass Factory, on N. Myrtle St. Tickets for the Mash-In event are available now through this link. 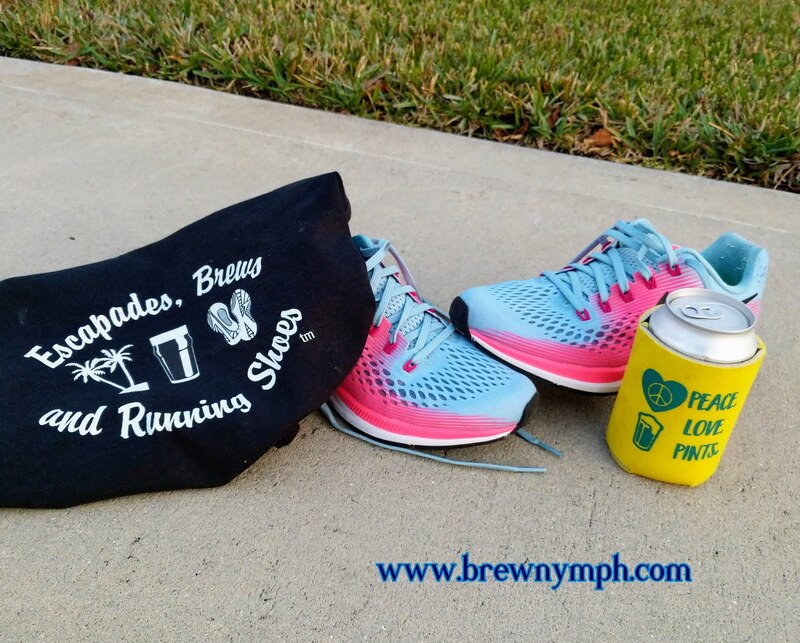 Jax Beer Week is truly a collaborative effort among the local breweries and associated businesses to bring awareness of craft beer to the community. 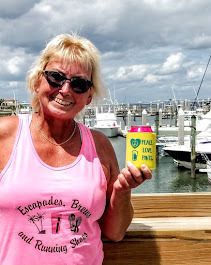 Jax Beer Week events will be posted on the Jax Beer Society website, published in local Jax weekly entertainment publication Folio Weekly's September 14 issue, and posted/updated on the TAP THIS CALENDAR on this site. 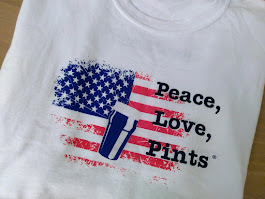 Celebrate Jax Beer Week in Jacksonville!